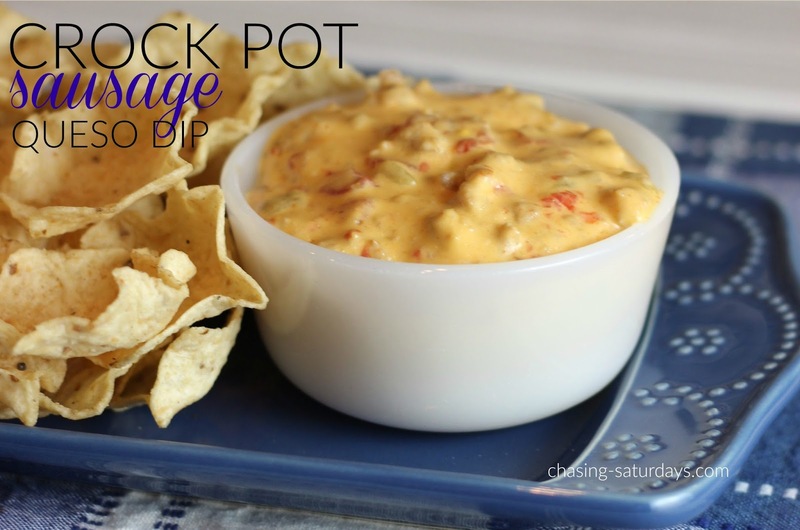 The Crock Pot Sausage Queso Dip is one of my favorite dips. Another favorite dip you should try is Crock Pot Spinach and Bacon Queso Dip. 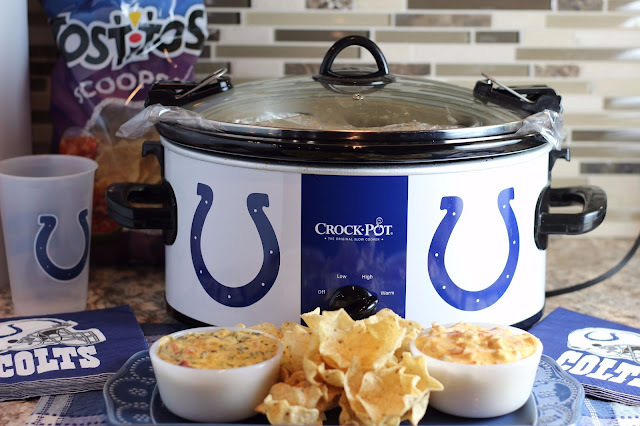 You can use your favorite crock pot, but we like using our Colts Crock Pot, especially during the football season. It makes for fun conversations! This weekend, the Colts honored Peyton Manning in Indy. They retired his number, 18. The unveiled a bronze statue of Peyton Manning, placed outside of Lucas Oil Stadium. Peyton Manning was the first round draft pick in 1998. Manning holds many NFL records, including passing yards, touchdown passes, AP MVP awards, Pro Bowl appearances, 4,000-yard passing seasons. Manning is also the only quarterback to start the Super Bowl for two different franchises more than once each and the only starting quarterback to win a Super Bowl with two different franchises. Manning is the oldest quarterback, at the age of 39 to start in and win a Super Bowl! While the Colts have a lot to celebrate with the accomplishments of Manning, it's time to focus on the food. Appetizers. Cheese. Sausage. Brown the ground sausage on the stove, then add everything in the crock pot. Turn on low and stir occasionally. 1. Brown ¾ lb of ground pork. 2. Cut up ½ lb of Velveeta cheese into ½ inch cubes. 3. 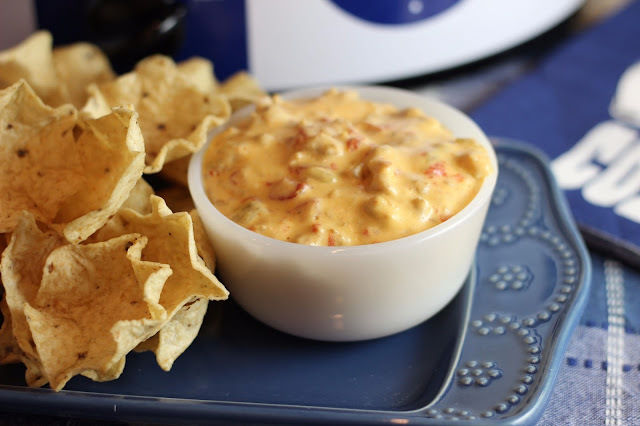 Place Velveeta Cheese in a crock pot sprayed with Pam, or use crock pot liner. 4. Place cream cheese in crock pot. 5. Drain 10 oz can of diced tomatoes and green chiles, and put in crock pot. I love a good queso! Such cheesy goodness! Fun recipe! We have a football (Eagles) crock pot too - the best! this looks so yummy, and easy! 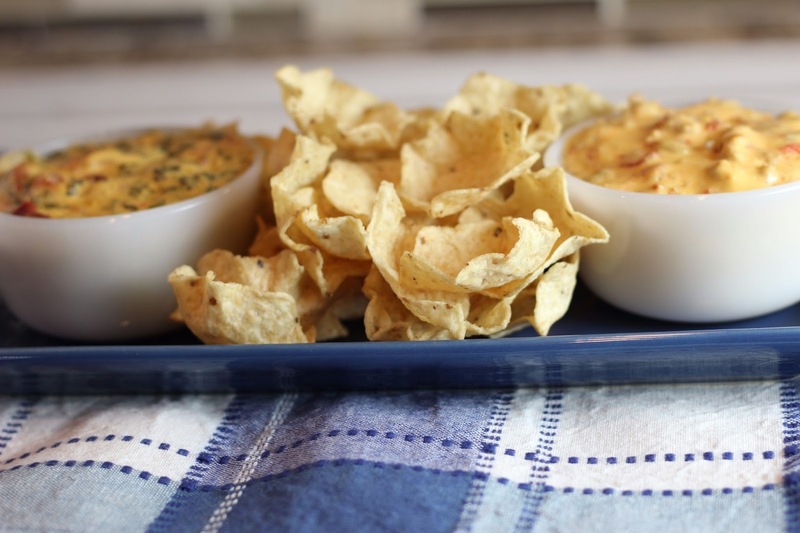 This sounds like the perfect game day snack!